Serpstat is a Search Engine Optimization (SEO) platform that enables its users to track the daily ranking of their website(s). Its features include keyword research, backlinks analysis, site audit, position tracking, and competitor analysis. We compiled Serpstat user reviews from around the web and determined that it has generally positive ratings. We also shared its available pricing options. 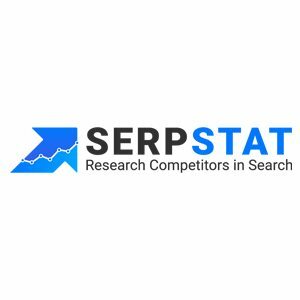 Users who gave Serpstat a positive review said that they love its keyword research tool, rank tracking functionality, competitor analysis, and affordable pricing plans. Users who gave Serpstat a negative review said that they are unimpressed with its interface design, backlink database, insufficient data on low traffic searches, and system lag times. Serpstat offers a free plan and two types of four-tiered paid subscription plans: Personal (pricing ranges from $19 to $299/month) and Business (pricing ranges from $499 to $2,500). The main differences between the plans are the numbers of queries, keywords, and reports that users can run and track, as well as access to additional features. They also provide 20% discounts to users who sign up for 1 year subscriptions. Can users upgrade their account at any time? Yes. Interested users can subscribe to a higher plan at any time by changing the “Bills” setting in their account dashboard. Does Serpstat offer special discounts? Yes. Interested users can check Serpstat’s discount page to learn more about their affiliate program and other promotions. This video provides an overall background on what Serpstat can do to help businesses automate their SEO processes. Not sure if Serpstat is the right fit for you? Read our reviews of all top SEO services software or check out one of these three Serpstat competitors. Serpstat have a great database, and great customer service – its a tool that understands it’s place within a suite and professional setting and doesn’t attempt to be a “one tool to rule them all”, meaning you’re not paying for substandard features like with SEMrush. The interface is very loaded with commands and the UI could be a lot more user friendly – so the tutorials etc come in handy. That being said, it’s only like this as it’s packed with features. Nothing really to add in here. It’s a very good alternative to much more expensive tools such as SEMRush or AHREFS. They’re constantly working on improving their databases and offering training for their customers. The interface is very loaded with commands, so you need to carefully study the tutorials in order to get started and really take advantage of the tool. Nothing to mention here, really. We’re using the tool on a weekly basis with very good feedback from our employees. 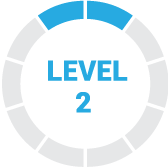 Great technical support, great pricing, constantly evolving tools to keep up with the SEO world. Sometimes I have a few glitches where Ukrainian shows up (usually late at night or when there are upgrades being made…I have friends who use the tool and I know for a fact that I am the only one that has this). That’s it folks, that’s the most I can complain about. Their keyword volumes are much stricter than most tools. I love it but some folks don’t. I like to know where I stand instead of dreaming. I can get detailed data for a low price, and it’s a lot better than Google’s free data. Also, it doesn’t slow down my computer like a browser SEO tool. It shows general search data, not just what Google thinks I want based on my past searches. It helps me get ideas for content to write based on things people are searching for, but I hadn’t thought to write about. I’m not sure, It is what it is and doesn’t promise anything it can’t deliver well.